I have searched for a long time but didn't find any good resource on how to do this. 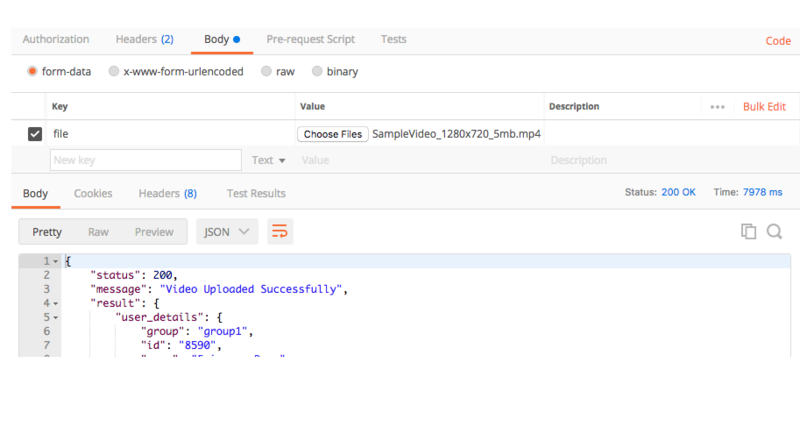 The api expects one form parameter "user_id"(for now sending its as urlpath not form parameter) and other "file" for the video file. please provide some code sample either using URLSession Task or any library for iOS. This throws 500 from server saying it can't read Header first byte using UTF-8 encoding. 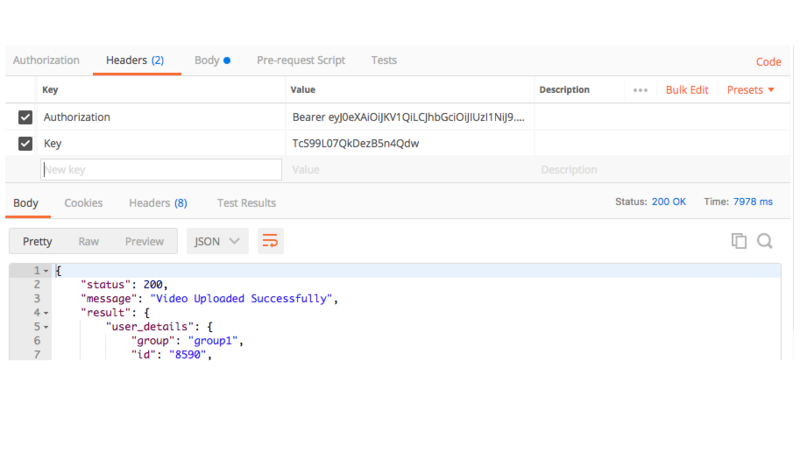 Additionally, I can use postman to send the video successfully. Using form-data field like shown in images.